Bright mahogany color. Rich, complex, funky, penetrating aromas of molasses, polished wood, rubber sap, and copper, with a pungent, earthy, dry-yet-fruity, full body with a long oak, moss, and peppery mineral ore finish. 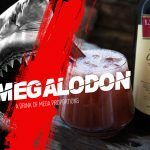 A classically styled, very serious, old-school dark mixing rum with an unparalleled and unrivaled interplay of dry, funky, and savory tones that will elevate any tropical cocktail. 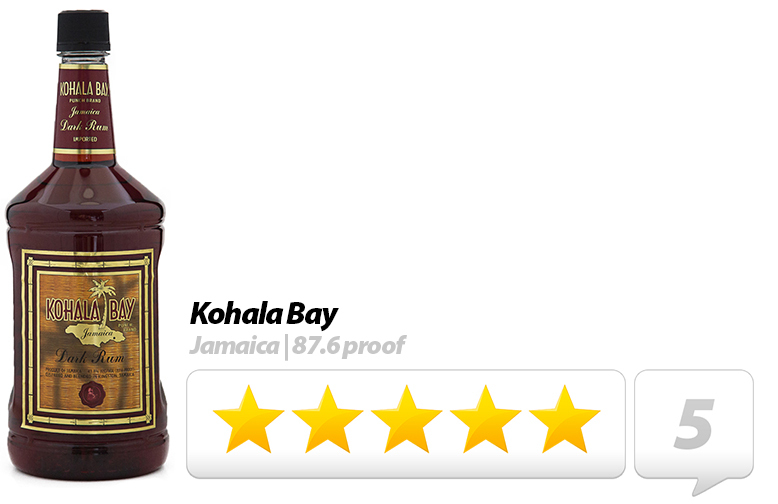 Kohala Bay was one of the most important dark Jamaican mixing rums produced in the 20th century, both for its uniqueness to the Mai-Kai’s stable of world-class cocktails, and the lineage of the rum itself, as a direct descendant of the famous “Dagger” Punch brand from Jamaica, which was used famously by Don the Beachcomber in the 1930s. 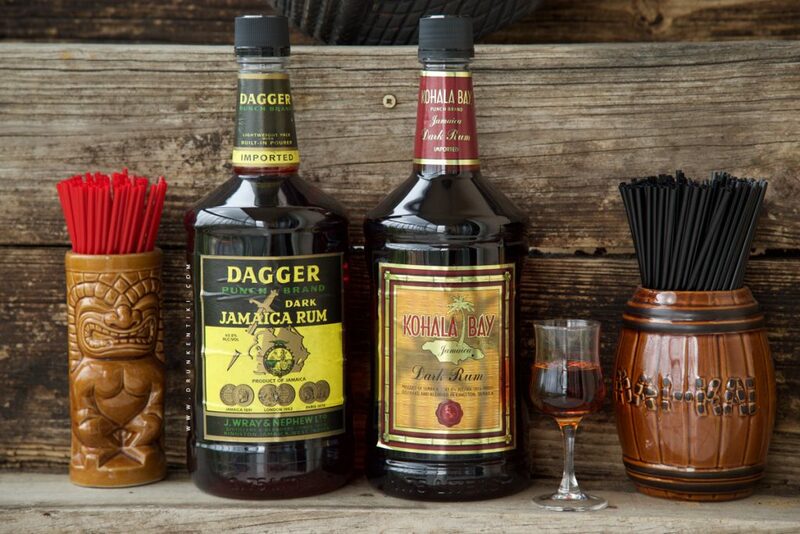 Wray & Nephew Limited, owner of the Appleton, Wray & Nephew, and J. Wray brands, and former producer of Kohala Bay, is the oldest and by far the largest producer of rum for the Jamaican market. The company can trace its rum-producing roots back to Appleton Estate in 1749. That makes it the world’s second-oldest rum producer, after Barbados’ Mount Gay distilleries (1703) and ahead of Martinique’s St James rum (1765). Since the early 1990s, Kohala Bay was the undiscovered, secret weapon used in many of the Mai-Kai’s tropical libations and was notable for giving the drinks a unique and unmistakable flavor. The rum itself, a direct descendant of the famous ‘Dagger’ Punch brand, was similar in style to the old London Dock rums produced before World War II in England. The Mai-Kai, a spot long considered the nation’s epicenter of Polynesian Pop, was built in 1956 and added to the National Register of Historic Places in 2014. The recipes for the Mai-Kai’s rum drinks are closely guarded, with most dating back to the 1930s when Don the Beachcomber (aka Donn Beach) birthed Tiki. Only at the Mai-Kai can you taste a 200-year-old classic, reinvented after Prohibition by the grandfather of tropical drinks, embellished by a mid-century mixology master, and reverently kept in a time capsule for the past half-century. While the Mai-Kai uses multiple rums in their cocktails, rum made in Jamaica is characteristically full-bodied and pungent, often with a dark mahogany color it owes mainly to caramel. Myers’s rum is the familiar Jamaican brand, its label proclaiming it “the Planter’s Punch Brand.” The very darkest rums (historically labeled either ‘Dark’ or ‘Punch’) had considerable pungency, an almost sweet molasses tang to their taste, and because of their deep, rich flavors, many of these rums had uses in tropical mixology and cooking. Some of the Mai-Kai’s best-known cocktails which contained Kohala Bay, included the 151 Swizzle, Black Magic, Cobra’s Kiss, Jet Pilot, Mutiny, Zombie, and Special Planter’s Punch, to name but a few. 1.75L plastic bottles of the rare Kohala Bay which the Mai-Kai restaurant ordered in excess of 2,500 liters a year at its peak. Before the Mai-Kai started using Kohala Bay in the 1990s, they routinely used Appleton Punch, a 97-proof dark mixing rum which was available from 1956 all the way into the 1970s when the product was eventually discontinued. At that point, the infamous “Dagger” Punch brand stepped in and that lasted until the 1990s when Kohala Bay was introduced as a replacement rum. 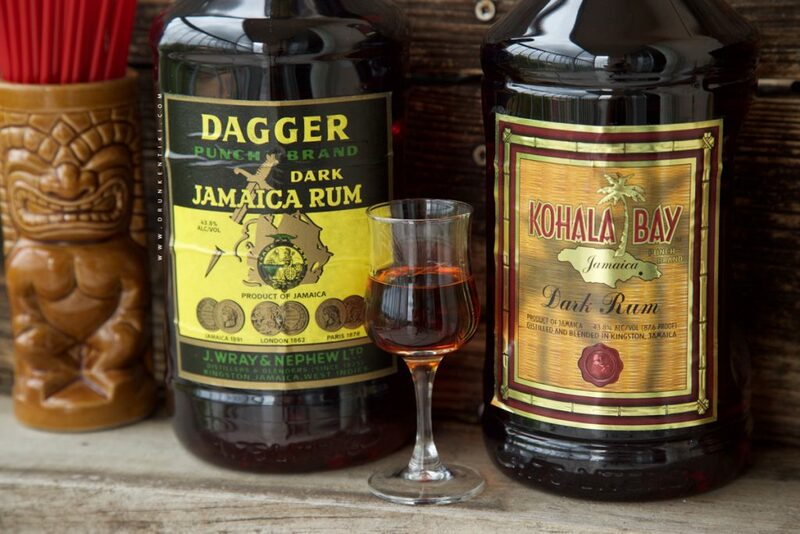 J. Wray & Nephew’s infamous Dagger Punch Brand of dark Jamaican rum (43.8% ABV) that immediately preceded Kohala Bay. Jim “Hurricane” Hayward has the fascinating full story here. 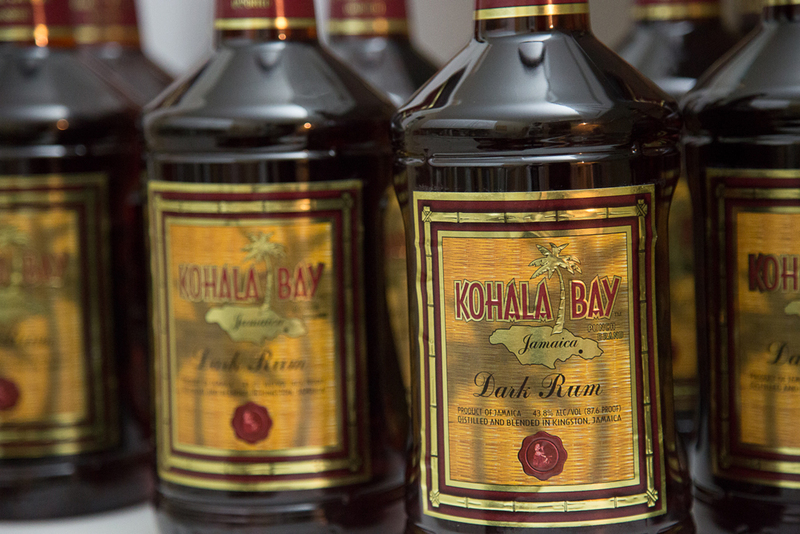 Unceremoniously discontinued in early 2016, the Mai-Kai has struggled to find a suitable replacement as Kohala Bay has now joined the ranks of many other ‘lost rums’ relegated to the dusty realms of forgotten history. As such, bottles of Kohala Bay today are extremely rare sightings and are considered a highly prized collector’s item, fetching upwards of $300 for a 1.75L bottle. 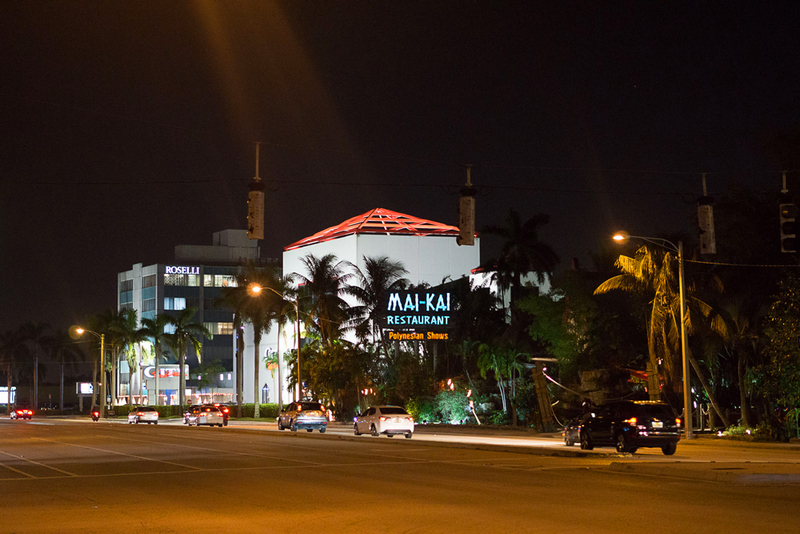 The Mai-Kai restaurant looking southwest along North Federal Highway, a busy stretch of road that only had one lane in 1956. How a rare stash of dark Jamaican rum, once thought lost, was found. What historical treasures could be in your local liquor store? 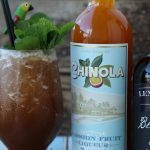 In a rare occurrence, Florida-based cocktail sleuth, Jim “Hurricane” Hayward of the popular blog The Atomic Grog, recently published a story online detailing a South Florida man who uncovered a lost stash (a staggering 12 bottles, no less) of Kohala Bay rum in a local liquor store in a rundown part of town somewhere in Broward county. Allegedly, the bottles were covered in dust and had been sitting undiscovered in the ramshackle store in plain sight for years. While nobody knows who the individual was that made the compelling discovery (Hayward is keeping tight-lipped about it), one of the bottles mysteriously ended up at this year’s Hukilau event in Fort Lauderdale and fetched in excess of $200 at a surprise, last-minute auction. 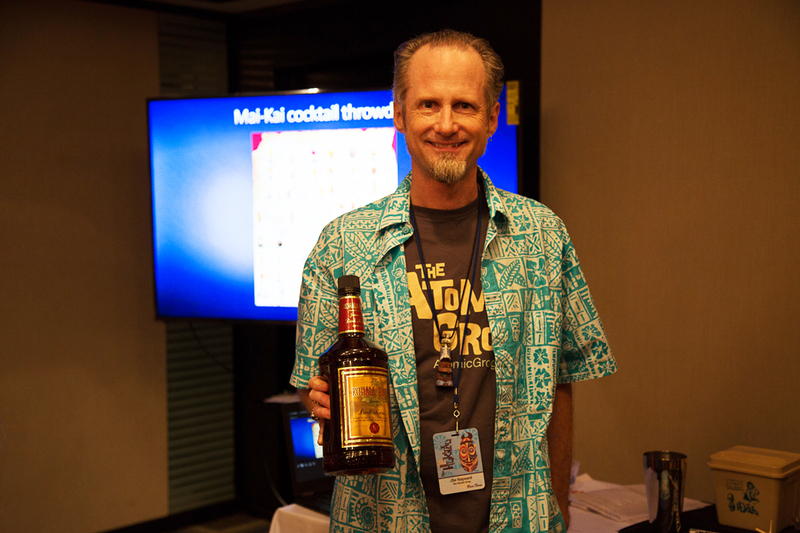 ‘Hurricane’ Hayward, during his sold out class at this year’s Hukilau, displaying the rare rum that would fetch in excess of $200. 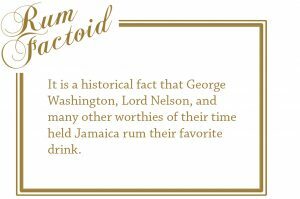 The historic rum, distilled by the famous J. Wray & Nephew distillery in Jamaica, is unlikely to be drunk, but its make-up and historical significance will never be forgotten. While displaying the same appearance and proof (43.8% ABV), Dagger was a slightly different blend of rum than Kohala Bay. Kohala Bay itself has traveled many roads over the last few decades, and its survival, like the Mai-Kai’s still-secret drink recipes, is inspiring. It is also a material reminder of the ways that rum has made history and shaped collective memory, and of how some parts of the past that we think are lost reemerge, suddenly, into the light.